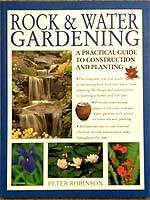 All ponds, water gardening and aquatic plants related books. A practical and informative book written for both the beginner and the passionate gardener. Includes advice, ideas and suggestions for the damp spot in the garden that has always been difficult to plant out. Highly recommended. Out-of-print, new condition. A practical handbook that covers water feature designs, pond building, plant selections, plant propagation and pond maintenance. An excellent "how to" guide for the beginner and avid gardeners. Full colour photos. Highly recommended. A practical step-by step guide from the Royal Horticultural Society. Provides information such as building a pond, planting ideas, pond maintenance plant information and more. A very useful and easy to use guide book for the beginner. Full colour photos. A must have. A useful book for the beginner that covers the topics of planning & building ponds, planting, pumps & filters, fish life and problem solving. Recommended.